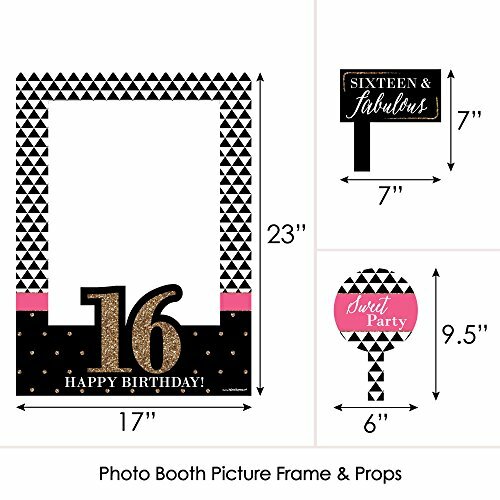 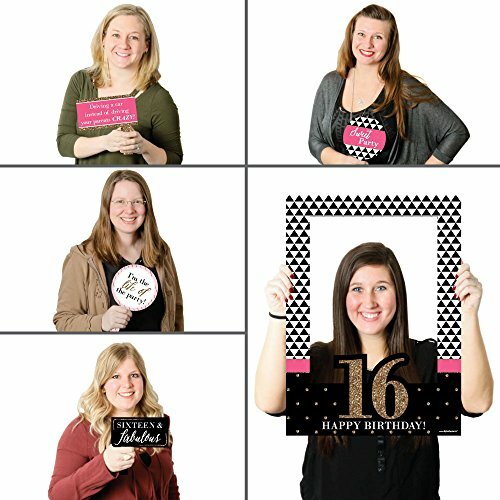 Take entirely shareable party pics with Chic 16th Birthday - Pink, Black and Gold - Birthday Party Selfie Photo Booth Picture Frame & Props. 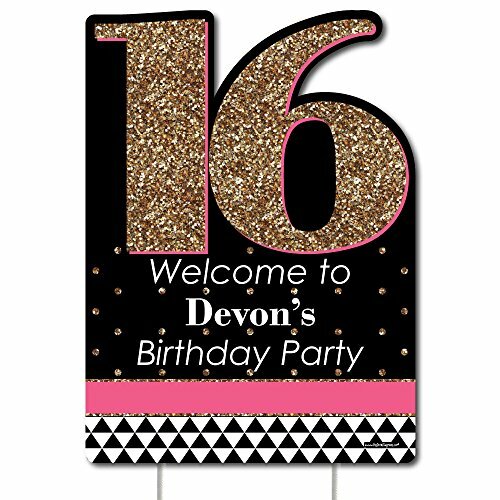 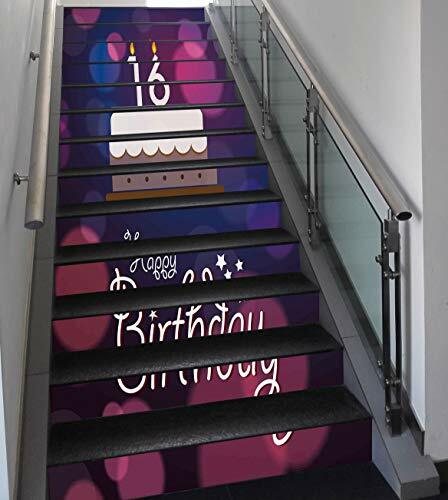 Each party photo prop kit is printed on heavy-duty plastic and can be reused for many celebrations. 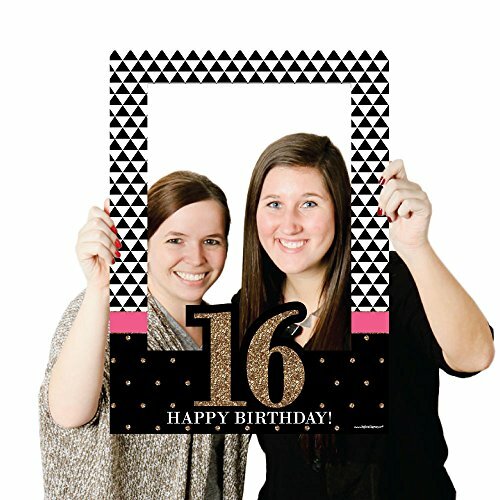 Coordinate an captivating photo backdrop for your party guests to pose in front of, then get in on the fun as they take photos with these cut out picture frames. 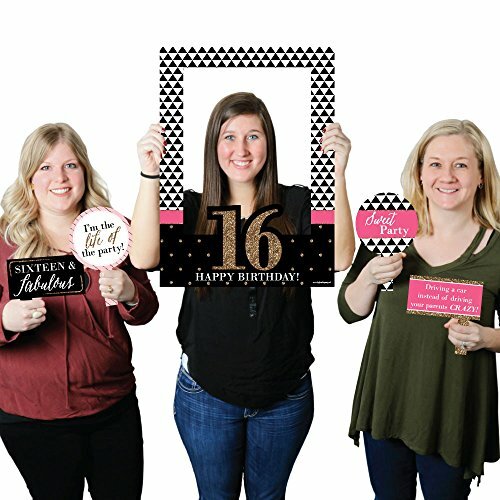 Your party pics will be great for immediately sharing on social sites but they will also be cherished memories long after the celebration is over.